Platinum-selling country star Kristian Bush is teaming up with the Academy of Country Music for a concert at The Troubadour (9081 Santa Monica Blvd) in West Hollywood, CA on Thursday, August 27 to benefit ACM Lifting Lives. Bush will be joined by special guest Rita Wilson, the actress, singer, and producer whose critically-acclaimed debut album AM/FM was released in 2012 and whose new album will be released in early 2016. The show kicks off at 8p.m. and a portion of each ticket sold will be donated to the charitable arm of the Academy of Country Music and their mission to improve lives through the power of music. 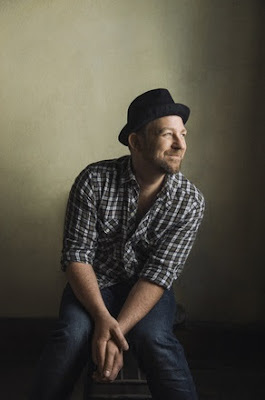 Tickets are on sale now and fans can purchase them online by visiting http://www.troubadour.com/event/879885-kristian-bush-sugarland-los-angeles/. Building on the release of his solo debut with catchy Top 20 hit “Trailer Hitch,” Bush’s new single “Light Me Up” is an anthemic love song that has already been spotlighted as a favorite track on APPLE MUSIC, PEOPLE, ETONLINE, and BILLBOARD.COM. The stunning lyric video featuring real couples in love can be viewed HERE.